Music from recent releases celebrating the English high Renaissance and the composers from John Taverner (c.1490-1545) to Martin Peerson (c.1571-1651), centering on Thomas Tallis and William Byrd. (The Cardinall's Musick/Andrew Carwood). Hyperion CD CDA 67994. The Cardinall’s Musick and Andrew Carwood continue their exploration of the sacred music of the acknowledged master of the Tudor era, Thomas Tallis. This project follows the completion of their multi-award-winning series of Byrd’s Latin music. Tallis’s career spans the reigns of four radically different and difficult monarchs, all of whom forced their own religious beliefs on an increasingly divided country. Their various attitudes to the religious questions of the day meant that each required different liturgies and different music to adorn them. 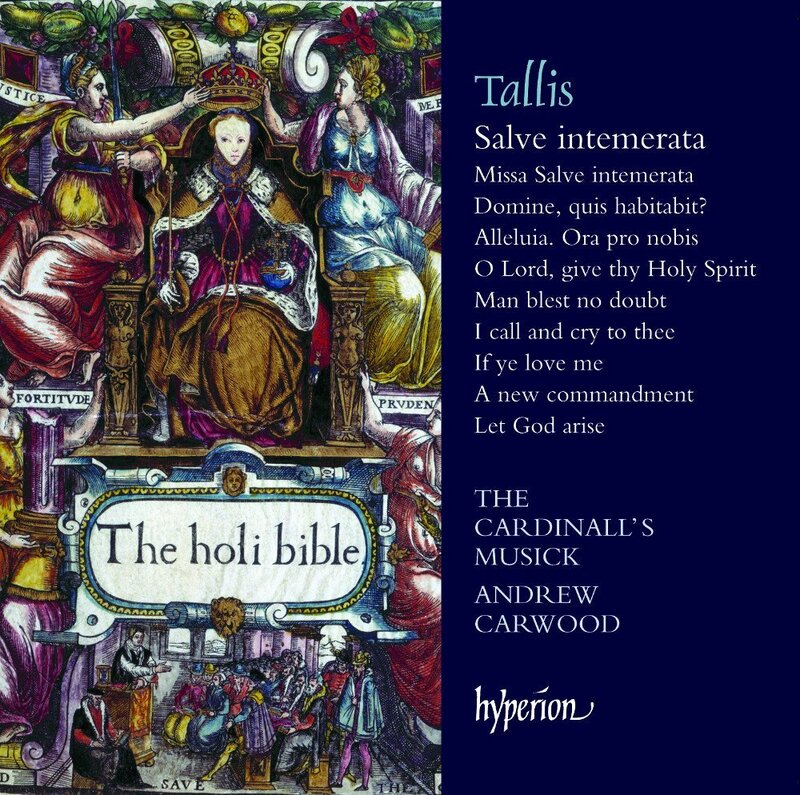 Tallis excelled in every style, and this album contains examples of each of them, from the monumental Marian votive antiphon Salve intemerata virgo to the modest English-texted settings of I call and cry to thee and of Psalm translations by Elizabeth I’s Archbishop, Matthew Parker. II. 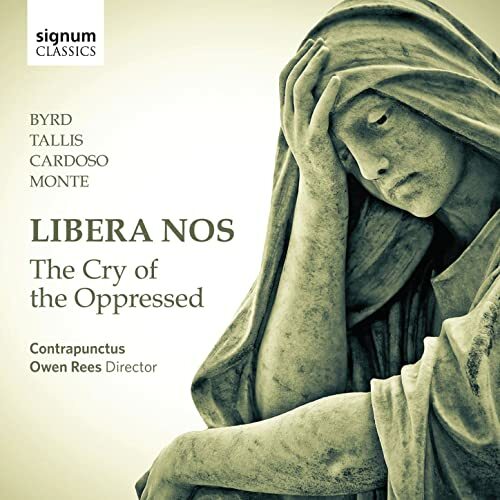 Libera Nos: The Cry of the Oppressed (Contrapunctus/Owen Rees). Signum CD SIGCD338. Coupling powerful interpretations with path-breaking scholarship, the choir Contrapunctus presents music by the best-known composers as well as unfamiliar masterpieces. Directed by Owen Rees, a specialist in music of the sixteenth and seventeenth centuries, the group presents imaginative programmes revealing previously undiscovered musical treasures and throwing new light on familiar works. This recording explores the musical ‘cries of the oppressed’ from opposite ends of Europe, which include some of the most powerful works composed in England and Portugal during this period by Byrd, Tallis, Monte and Cardoso. The highlight perhaps is the first recording of a newly reconstructed vocal work by Thomas Tallis, Libera nos. This has long been thought to be an instrumental work, and has been recorded as such, but there’s persuasive historical evidence for us to be confident that this is in fact a choral setting of the antiphon Libera nos, and it is performed here with the relevant text restored to the five vocal parts. III. 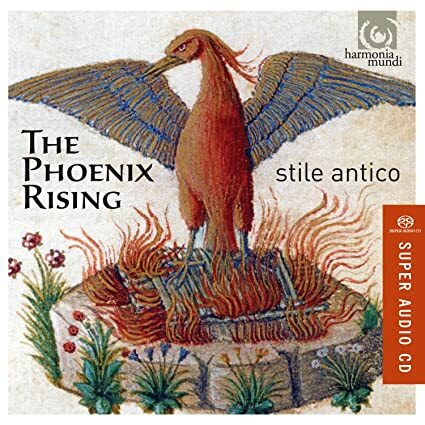 The Phoenix Rising: The Carnegie UK Trust and the revival of Tudor church Music (Stile Antico) Harmonia Mundi CD HMU807572. IV. 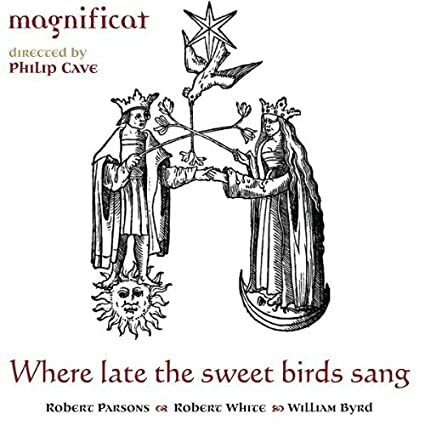 Where late the sweet birds sang: Latin Music from Tudor England (Magnificat/Philip Cave) Linn CD CKD 417. From Gramophone: An Oxford institution for over 20 years (with a personnel list that ebbs and flows with the best singers of this repertoire), Magnificat has long represented what is great about the music created there. There is such precision and care paid to the progress of the music and its phrases that you can almost see Philip Cave placing each note carefully, exactly where he want it. That's not to say Magnificat's sounds is in any way bland in it's meticulousness - far from it. The blend and ensemble of the voices is beyond reproach, despite there being enough space between each voice part to be able to hear the polyphonic lines as living entities in their own right as well as constituent parts of a bigger harmony, and Cave is enormously skilled in bringing out tiny corners of interest without overstating them and upsetting the development of the music. This is an undeniably scholarly disc, produced as it was by the grand dame of working choral editions of early church music, Sally Dunkley. The thesis that runs through the disc states that the early years if Elizabeth I's reign, during which all these pieces were written, were ones of exponentially rapid change in the identity of the polyphony of Latin - based texts from conservative to freely composed imitative music. With the exception of Byrd's Quomodo Cantabimus, it is a programme of frequently performed works; and although it may have been more ‘worthy' to populate such a disc with obscurer music, to match the depth of Dunkley's scholarly commitment to this music, it is nevertheless enormously gratifying to have the opportunity to listen with impunity to such nonpareils of the Tudor period sung so beautifully.